From 1981 (top) and 1983 editions of Reading, Pennsylvania’s Reading Eagle newspaper. It may seem like a drastic price cut, but that is a lot of longevity for an expensive toy. The game has a 1980 copyright date, but I’m pretty sure it came out in 1981 along with Dark Tower. Mom, can I go over to Danielle’s house? See the game stacked up in a 1980 toy store here. 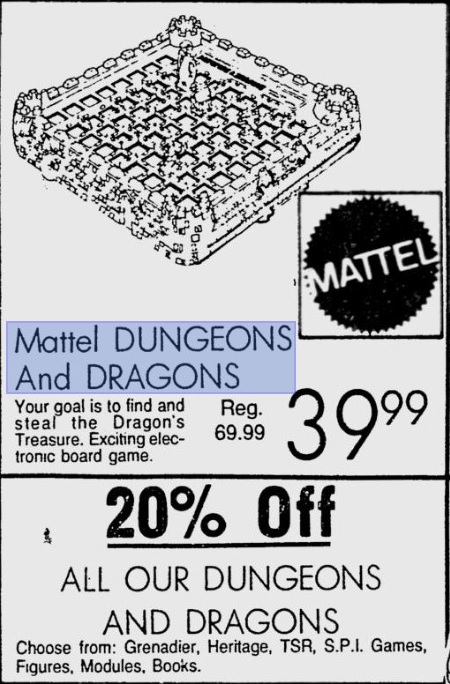 The D&D Computer Labyrinth Game was not a big seller, as you can see. 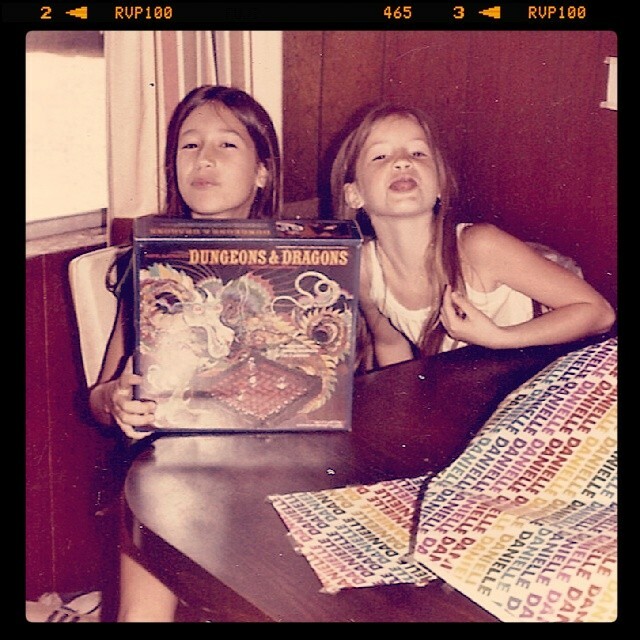 It was expensive, and D&D hadn’t yet gone viral in the kid world. 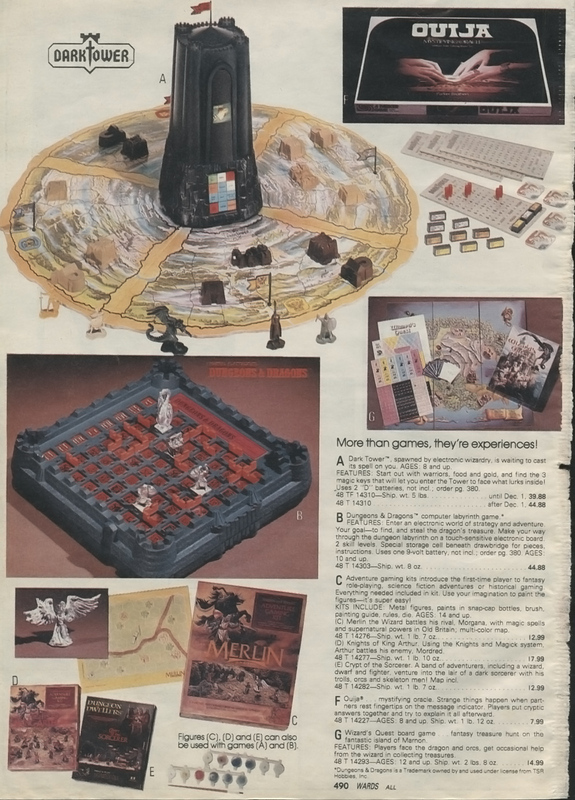 Here it is with Dark Tower in the 1981 Montgomery Ward Christmas Catalog for $44.88. Super Simon was in the same catalog for $37.99. The non-electronic games pictured—Ideal’s Rebound, Galoob’s Pro Pinball, Perfection (scared the crap out of me when that board shot up)—were much cheaper. 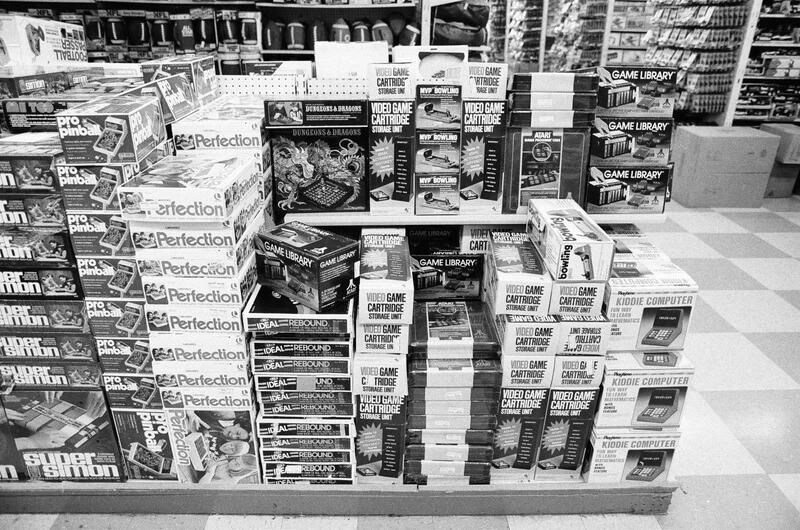 The photo is alluring, but also frustrating: all of those aisles in the background forever unexplored, all of those endcaps flush with eternally unidentifiable carded toys.